RTD and the City of Arvada will be providing additional G Line-related information about safety, celebratory events and changes to bus service along the rail corridor as information becomes available. For the most current details, visit RTD’s home page, G Line page and social media platforms. 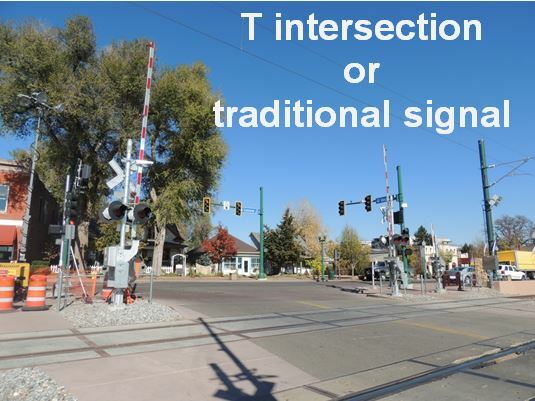 The railroad crossings along the Regional Transportation District’s (RTD) G Line are fully active and operating along the corridor, which winds through Adams County, Arvada and Wheat Ridge. Freight trains are currently maneuvering through the 16 crossings during most of the day and the G Line commuter rail trains will also start passing through the crossings when it opens for service on April 26, 2019. It is important to understand how each crossing can be navigated, whether you’re driving a vehicle, riding a bicycle or walking through the intersection. 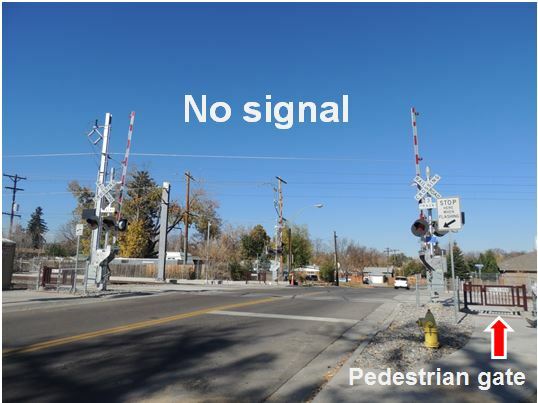 Every crossing, no matter what type it is, has gates that block the entire roadway to keep motorists from driving around the gates when they are down and a train is preparing to cross through. The crossings also have red flashing lights and bells that will activate as a train is approaching. 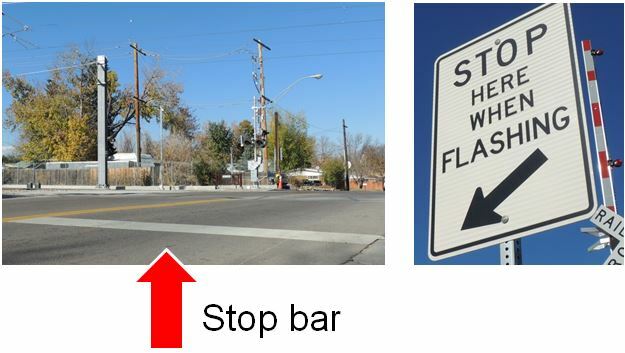 There is a sign at each crossing that says “Stop here when flashing” and points down to the place motorists and pedestrians should wait while trains proceed through the crossing. In addition, most crossings have pedestrian gates that people walking will need to pull open to cross the tracks. The pedestrian should only pull the gate open when the crossing gate arms are up and the red lights and bells are not activated. Miller Street and Tabor Street crossings do not have any pedestrian gate. The Olde Wadsworth Boulevard and Vance Street crossings have automatic pedestrian gates (they are small versions of the large red and white gate arms). RTD and its contractor, Denver Transit Partners (DTP), worked closely with the cities of Arvada and Wheat Ridge and Adams County to design the crossings to be safe for train, vehicle, bicycle and pedestrian traffic and also allow for good vehicle flow on the roadways when trains are not passing through the crossing. 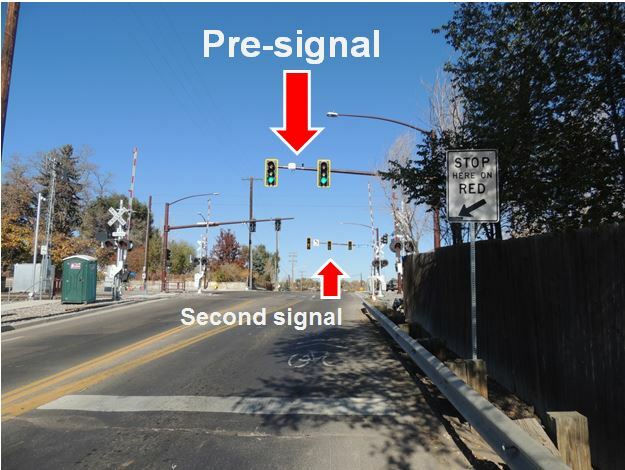 Both cities reviewed and approved multiple RTD design and construction packages, which resulted in the layout and traffic signals the public sees at the crossings today. For more information about the G Line, please visit RTD G Line.